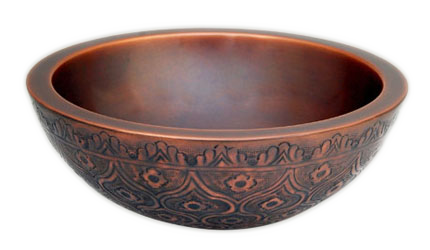 Vintage Metal Crafts makes handcrafted authentic copper round bar sinks. Each bar round vessel sink in copper has been hand made by highly skilled artisans. 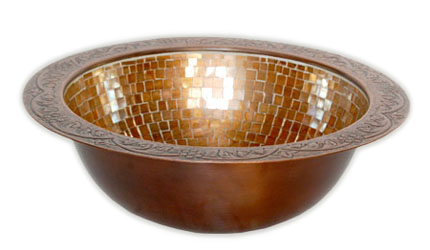 We offer all kind of texture such as hammered or smooth and finish choices i.e copper antique finish and copper patinas. 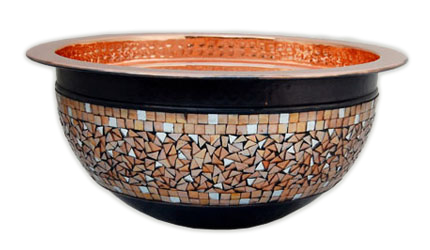 Every copper bath round sink style that we have, is very unique, decorative and originally designed and crafted by our artisans. 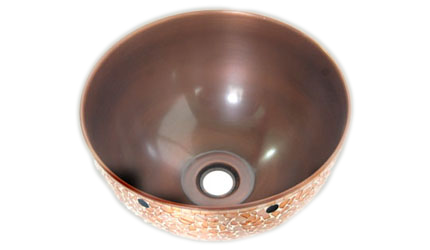 Vintage Metal crafts copper round round bar sinks are hand crafted from 16 Gauge pure copper sheets, unlike many importers who import copper bar vessel sinks made from recycle copper which can have impurities and could be a health hazard for the end users. 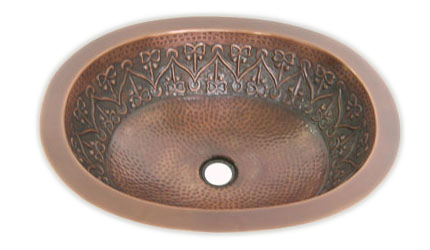 Vintage metal bar round sinks in copper comes in various shapes, designs, hammered smooth, round or oval and with or without the art work and various interior and exterior finishes. 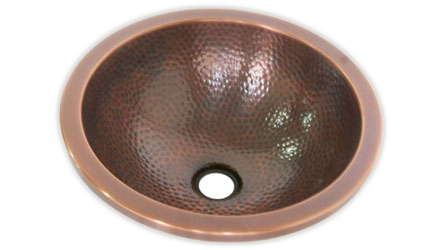 Vintage metals copper round bar sink last for a long time and will change its color to give it a vintage look like a old wine. 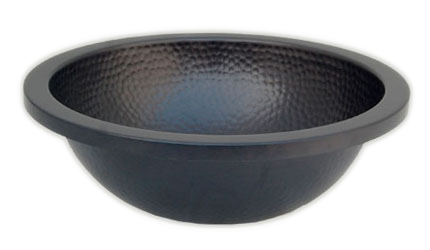 In case you do not want it change it color too soon and remain shiny then make sure to wipe out water often and wax polish it every fortnight or so. 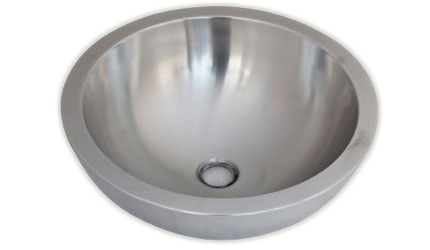 We offer discounted prices. 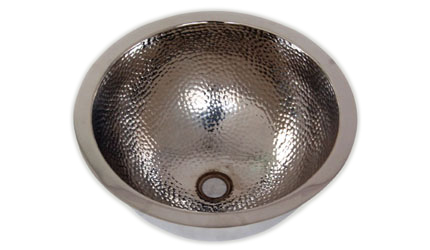 Vintage Metal Crafts vessel round bar sinks in copper metal are hand crafted. 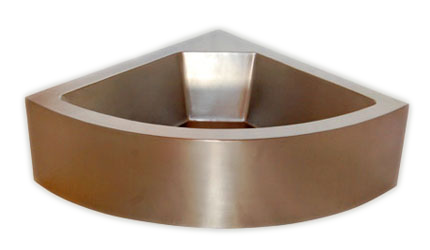 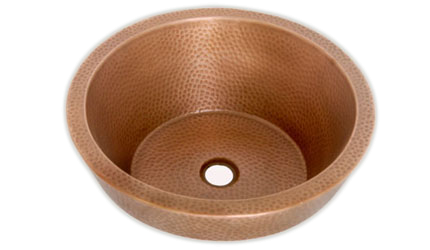 We offer authentic round vessel sinks in copper metal on wholesale in USA, directly from our warehouse facility at Portsmouth Virginia. 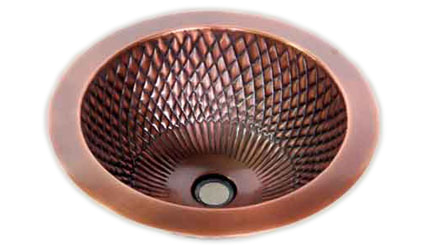 Every copper bar sink style that we have, is very unique and originally designed and crafted by our artisans. 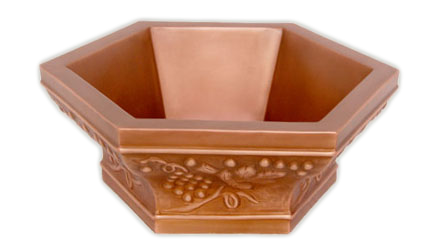 These Copper vessel sinks for wholesale has been hand made by highly skilled artisans.